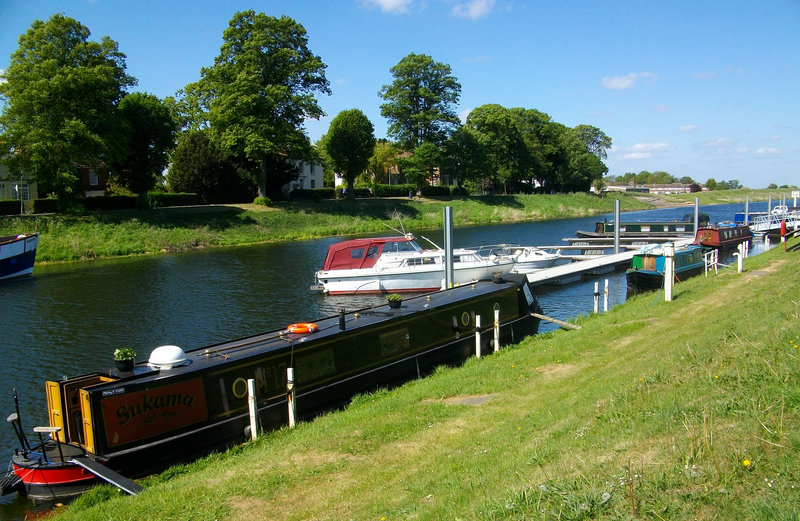 Grand Sluice Lock is situated on the River Witham at Boston in Lincolnshire. 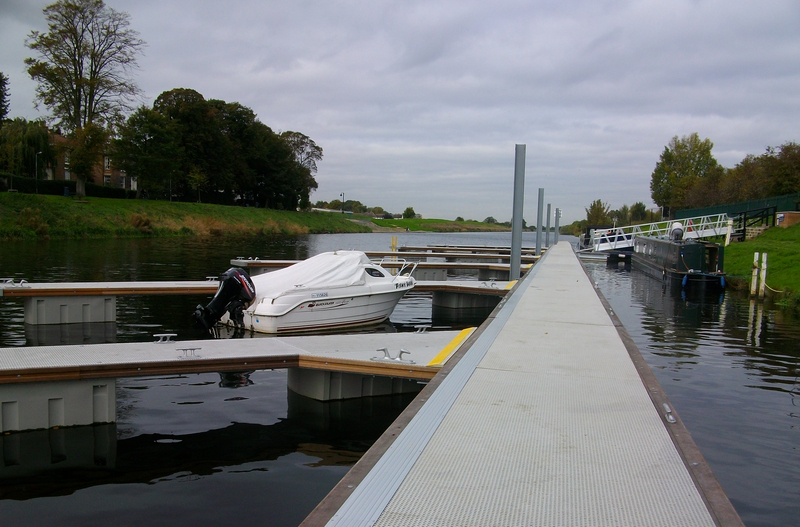 The mooring site is approximately 170 metres long and provides space for up to 4 vessels moored against pontoons. Witham Bank East. From the A52 Sleaford Road, turn on to the A1137 Brothertoft Road. Turn right at the mini roundabout and follow Fydell Street, proceed over the level crossing, turning left immediately after the bridge into the parking area. 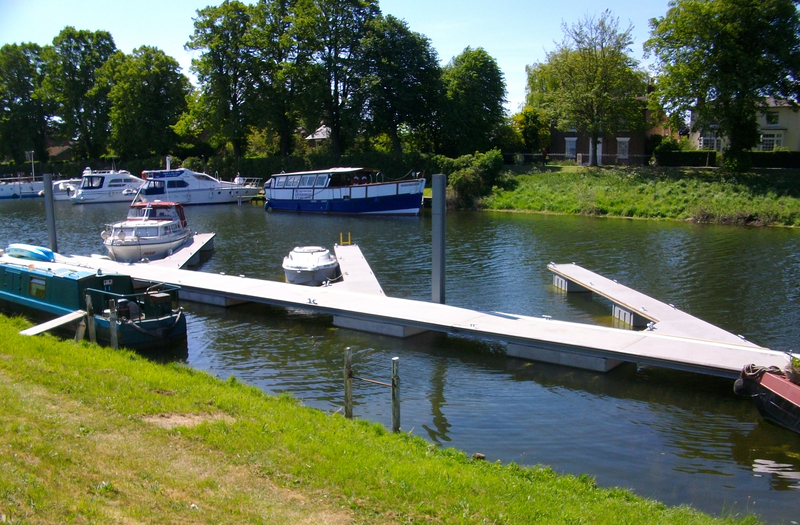 The moorings are on rise and fall pontoons. Each berth has electricity provided through Smart Meters where payment is made via an on-line portal. There are two water points servicing the four moorings. The site is secured by a padlocked gate which requires a standard BW key. There is some car parking (approximately 400m away) for general public use - spaces cannot be reserved for moorers. 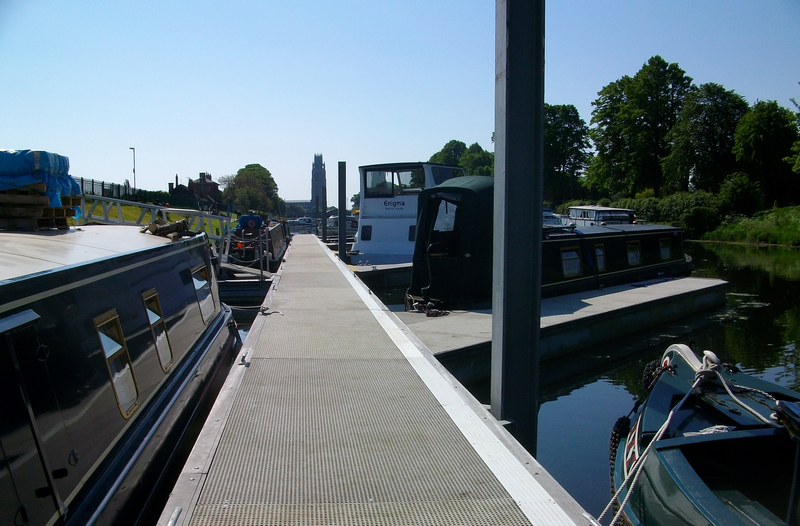 Elsan disposal, shower and toilet facilities are located at Grand Sluice Lock (approx. 400m away). The Environment Agency lowers the level of the River Witham during the winter months for flood alleviation reasons. 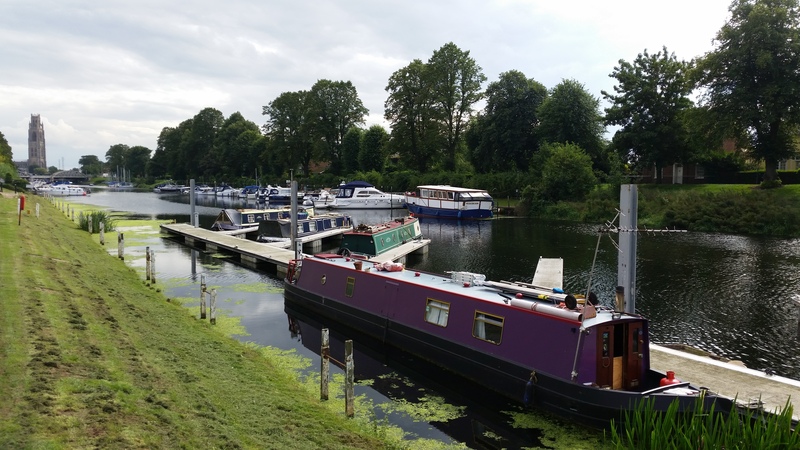 Craft moored at the site therefore may be grounded during the winter period. Site can be viewed from adjacent towpath at any time.